We are officially in the middle of influenza season, and unfortunately, the flu seems to be spreading more than ever. Catching the flu is not only inconvenient, but it can also be dangerous. Protecting your family from this illness can be especially tough if you have little ones, because children are prone to catching the flu from their classmates. It can be difficult to determine whether or not it’s the flu that your child is suffering from, so here are some flu symptoms to watch for. The flu comes on faster than a cold, so if it seems like your child has become suddenly sick, the flu could be to blame. It’s important that you monitor your child closely, and if you suspect that it’s the flu, keep him or her home from school to avoid spreading it. If your child complains of being cold or seems to be shaking, especially in a warm setting, it’s important that you take his or her temperature. Your child may also complain of tiredness, as it’s a common flu symptom. Every household should have a thermometer in case of an illness or emergency (we sell them at both of our locations!) A fever, up to 104 degrees F, can be a sign of the flu. Although these can also be symptoms of a cold, it is not uncommon for the flu to cause a dry cough or sore throat. It’s especially common for children to experience stomach pain, nausea, and vomiting when they catch the flu. Parents often mistake this for a stomach bug, but if your child is experiencing these flu symptoms, we recommend taking him or her to your family doctor. 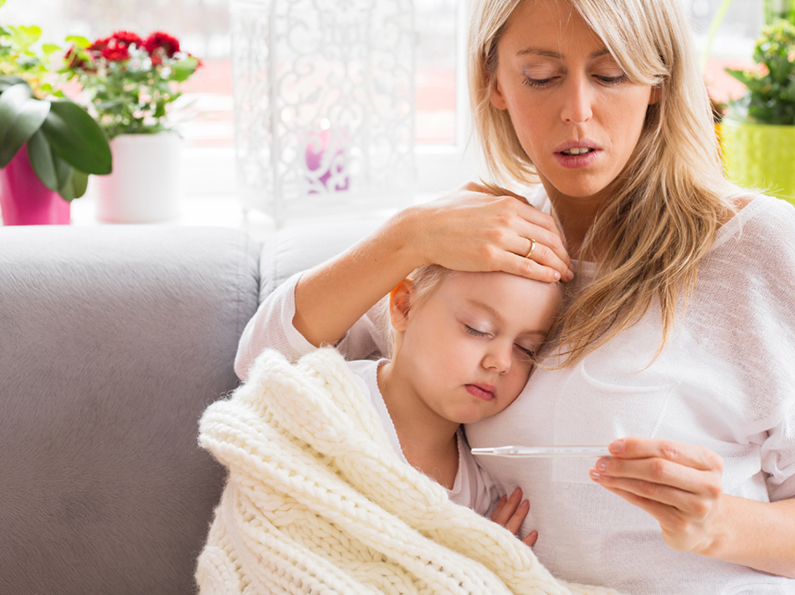 I Think My Child Has the Flu…What Now? We provide FREE flu testing at our Creswell location, along with testing for strep throat. If you’d like to be tested for free before visiting your doctor, just stop by anytime during our business hours and we’ll be happy to test you and/or your child. If the test is positive, you will know to schedule an appointment with a doctor and get the proper medications. The #1 way to avoid getting the flu is getting your annual flu-shot. We administer the flu-shot at both of our locations, to ages 7 and up. We have regular, high dose, preservative free and egg free. No appointment necessary!